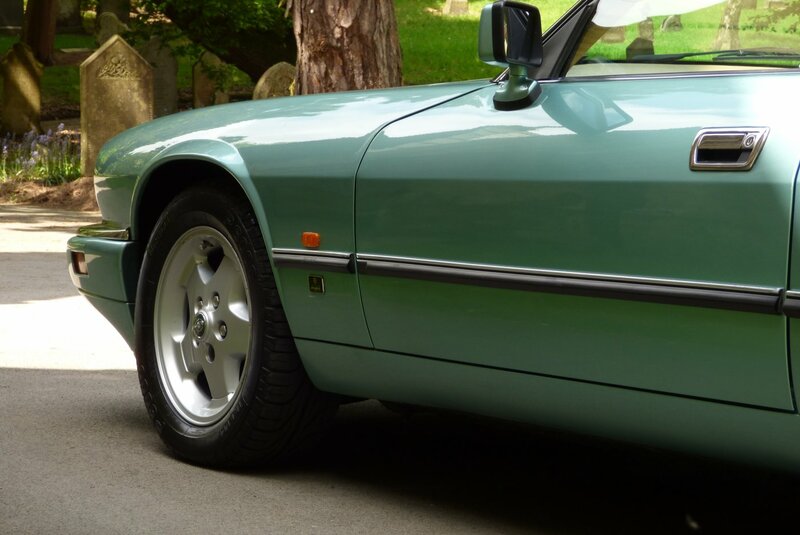 This Has To Be The Ultimate Modern Day Classic Jaguar Collectable And We Are Truly Excited To Be Able To Offer This Beautiful Example Onto Our Vehicle Inventory. 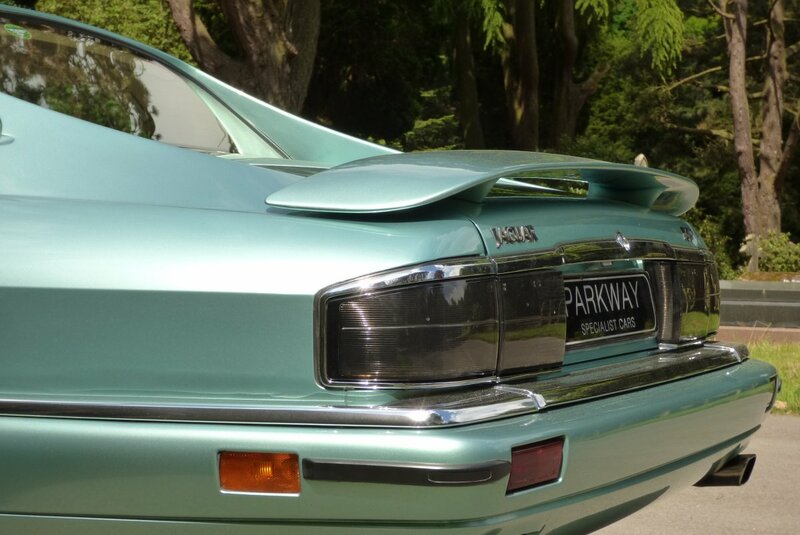 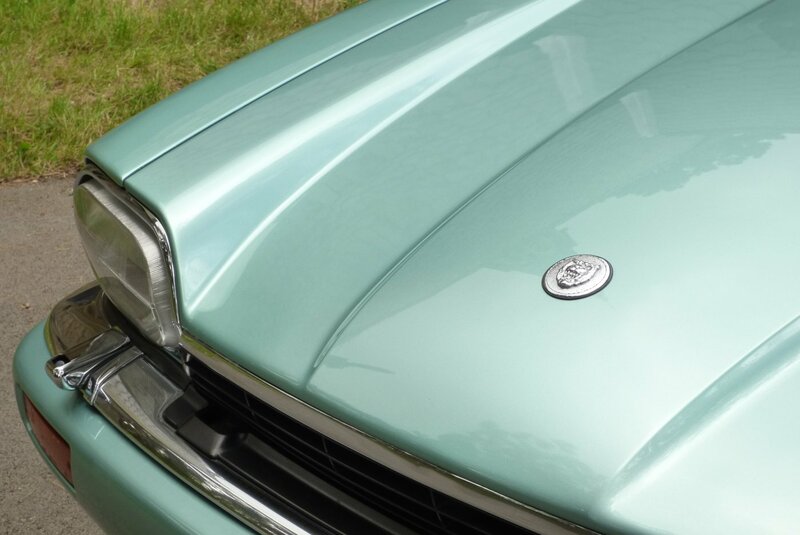 The Insignia Was To Be One Of The Last Hooray`s From The Jaguar Plant With Only 64 Cars Made Worldwide, With Just 7 Coupe Vehicles Produced In The Right Hand Driving Position And With The Limited Numbers Of Lucky Buyers Being Able To Have Their Cars Built And Finished By Craftsmen At The Insignia Program At Jaguar Special Vehicle Operations. 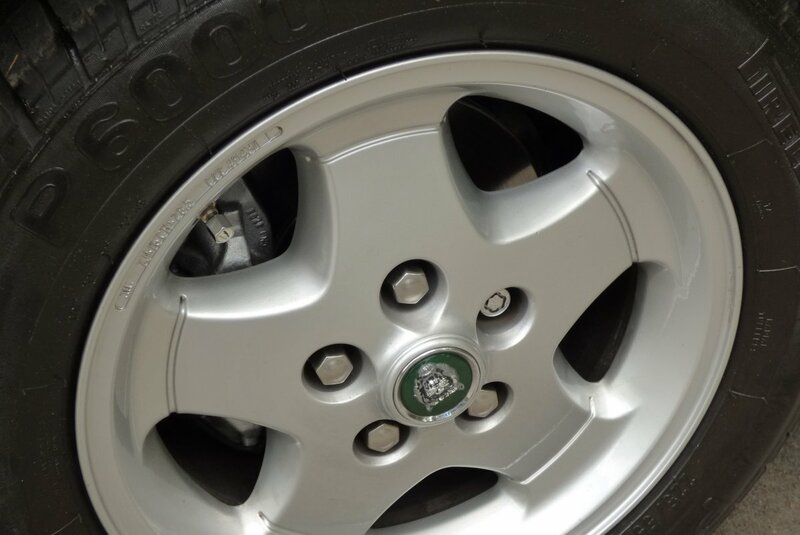 Clients At The Time Had Been Allowed To Design And Opt For Unique Exterior Colour Configurations, Alloy Wheel Design And The Finest Of Leather Trims, Meaning That No Insignia Edition Was Really Ever The Same On Build, Which Today We Believe Will Make This Particular Car Of Interest, Not To The Purist Of Jaguar Enthusiasts In The UK, But Across The Globe. 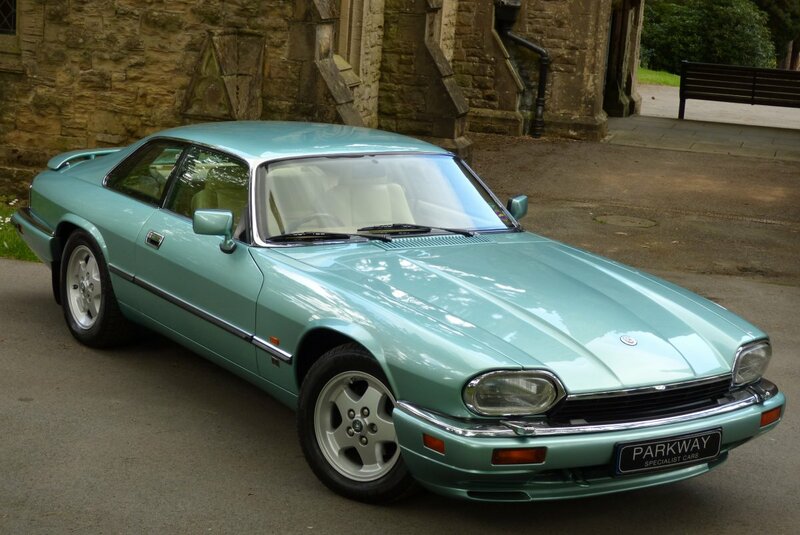 This Fine Example Was First Registered And Sold In The January Of 1994, By Appleyard Jaguar Of Bradford And Remarkably Was Kept By The Same First Keeper For Well Over Twenty Years, Who Maintained And Cared For This Particular Example In The Highest Of Standards. 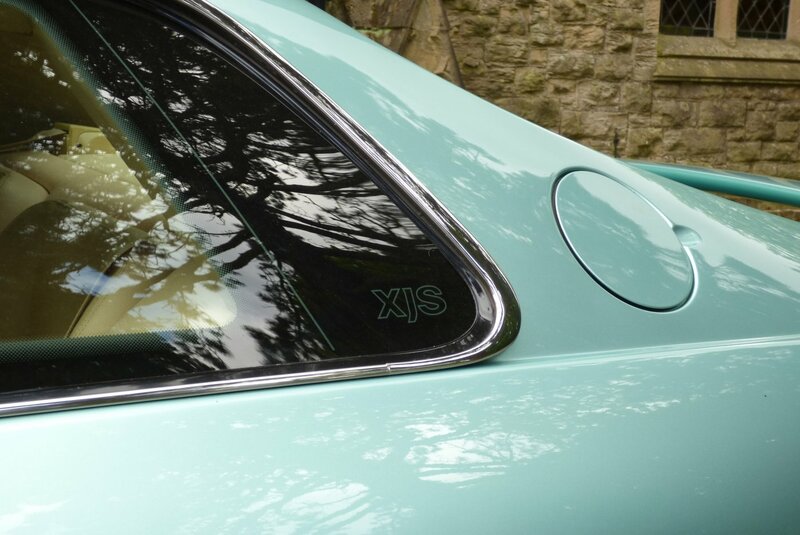 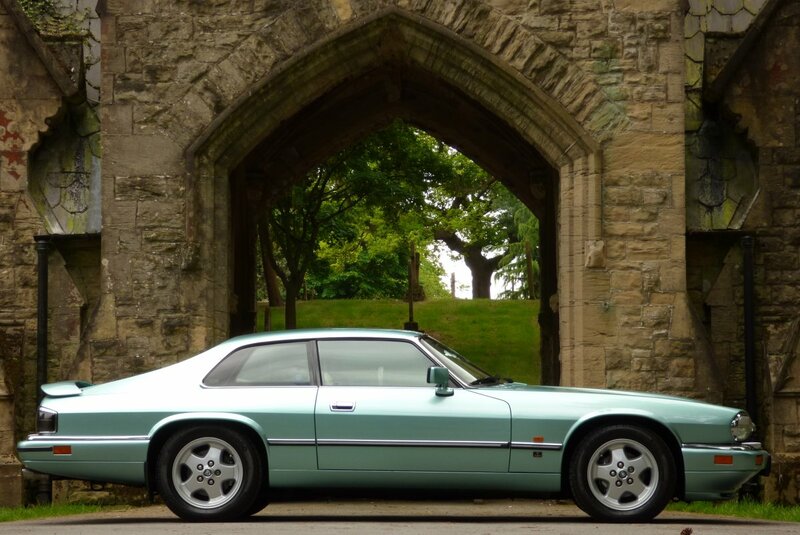 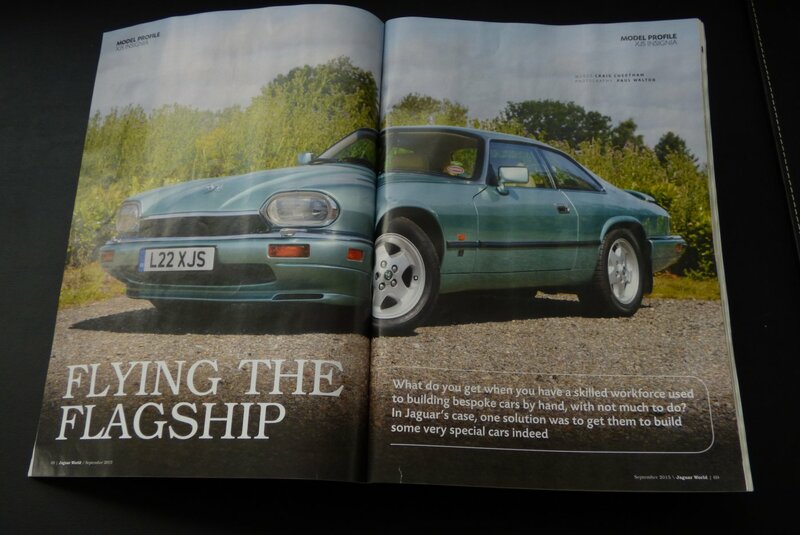 Already The Standard XJS Coupe Has Ventured Quickly Into The Modern Day Classic Status, With Many New Investors Or Buyers Wanting To Acquire The Very Best Of The Best, To Which Has Meant That Vehicle Values Have Climbed Over The Past Five Years, With The Scope For Future Growth Being Inevitable As Time Moves On. 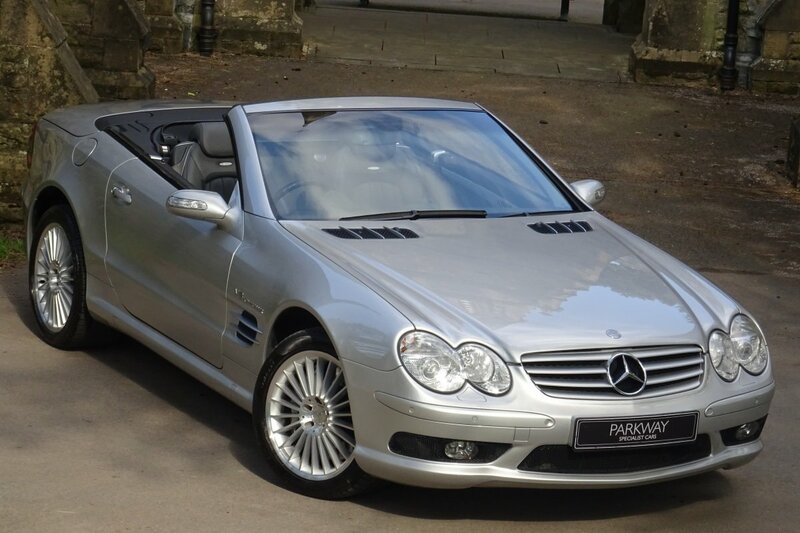 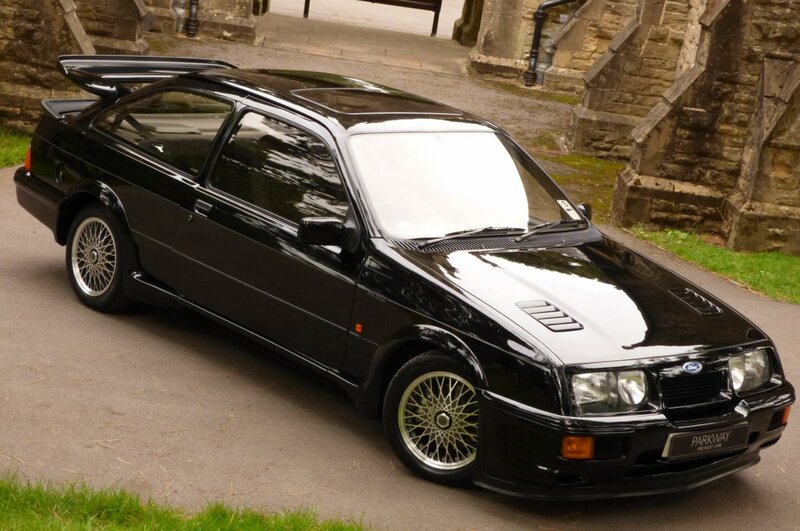 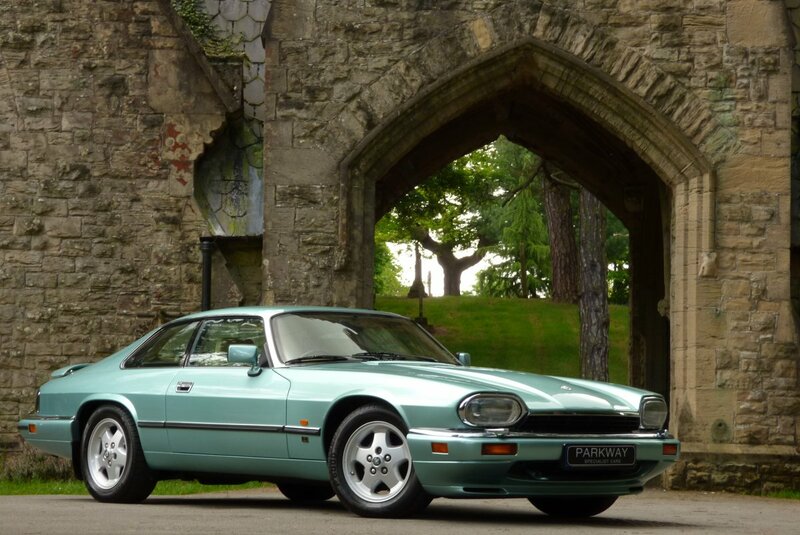 Of Course This Increase Is Based On Limited Low Numbers Of Low Mileage Examples Left To Buy, With Past Historical Servicing Details Being Of The Main Importance To The New Breed Of Custodians, To This Special Brand. 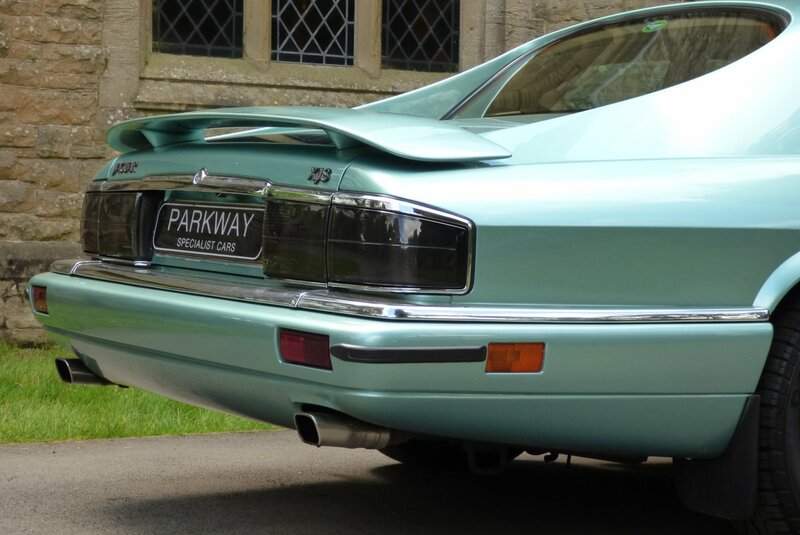 Of Course The Car Is Presented In Remarkable Condition, With The Only Distraction Of The Cars Limelight Being An Extensive Past Service File, Which Includes All Aspects Of The Cars Past And Offers In Interesting Insight To The Astonishing Efforts How Past Keepers Have Kept The Car In Tip Top Condition. 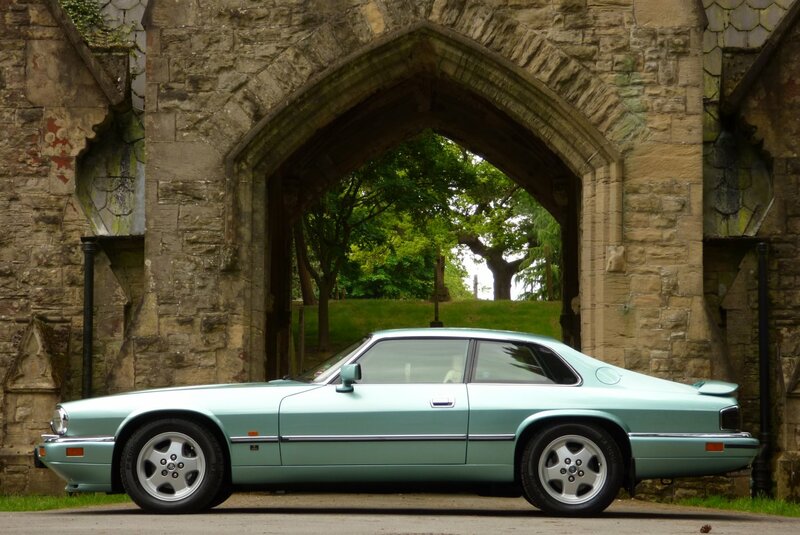 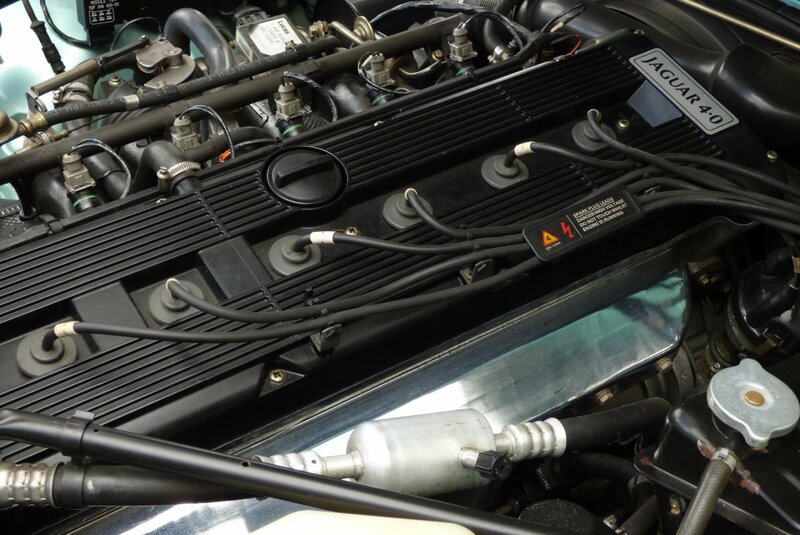 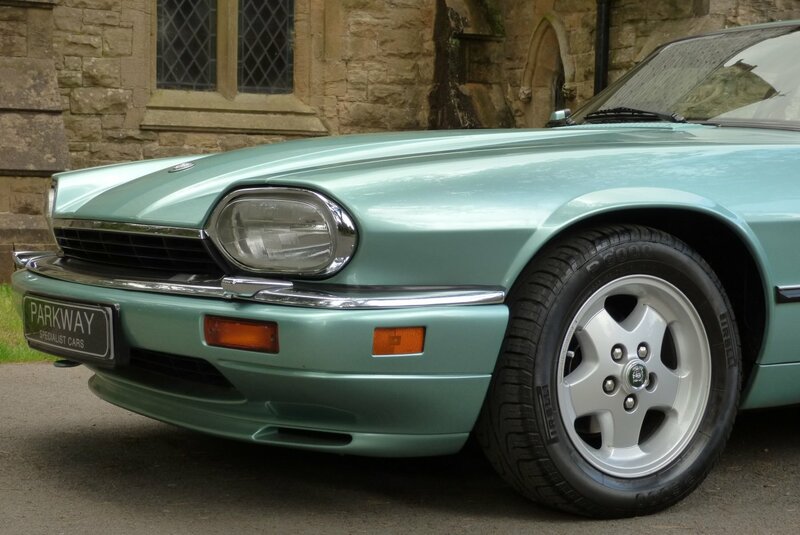 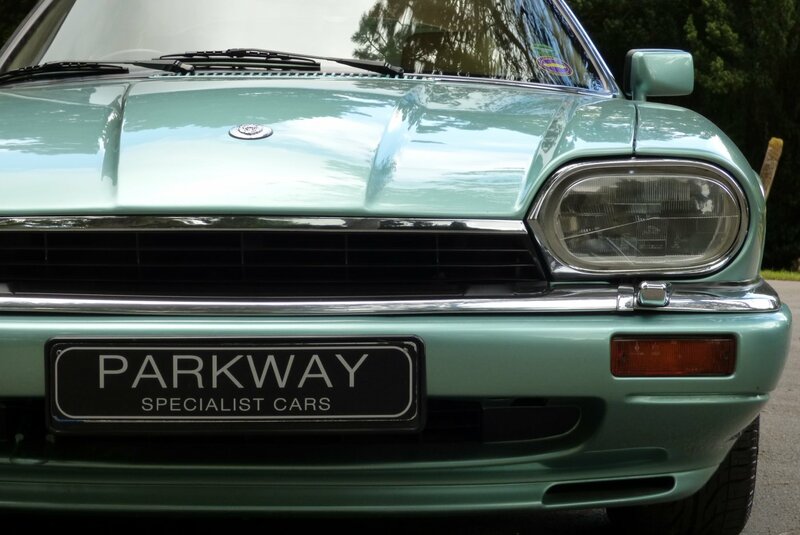 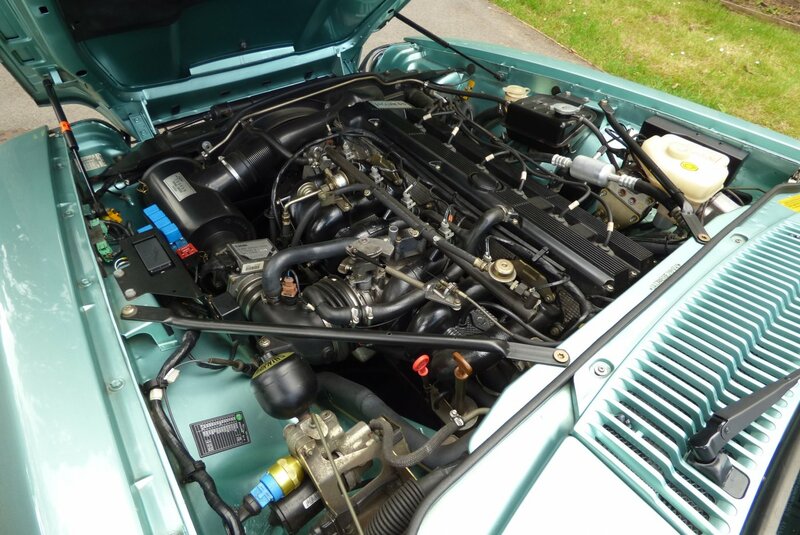 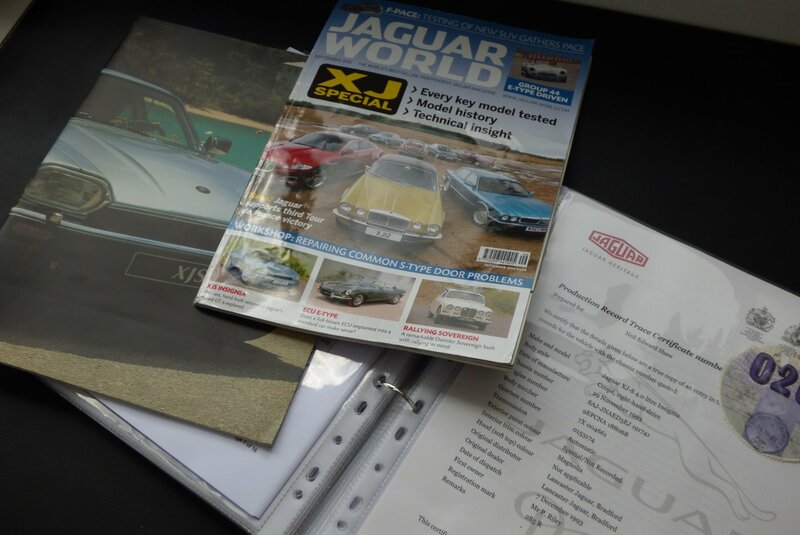 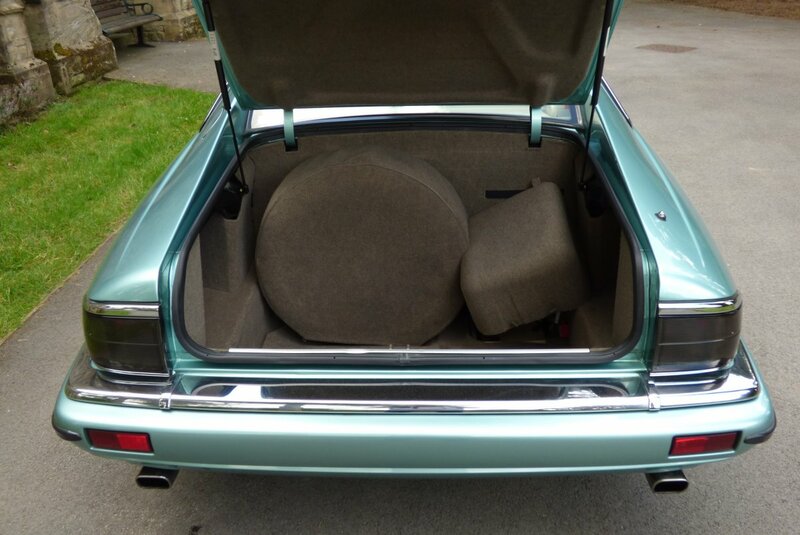 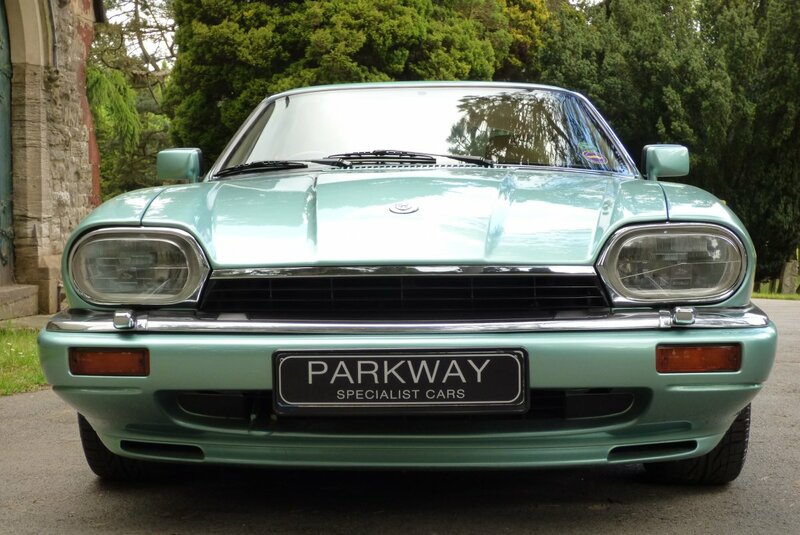 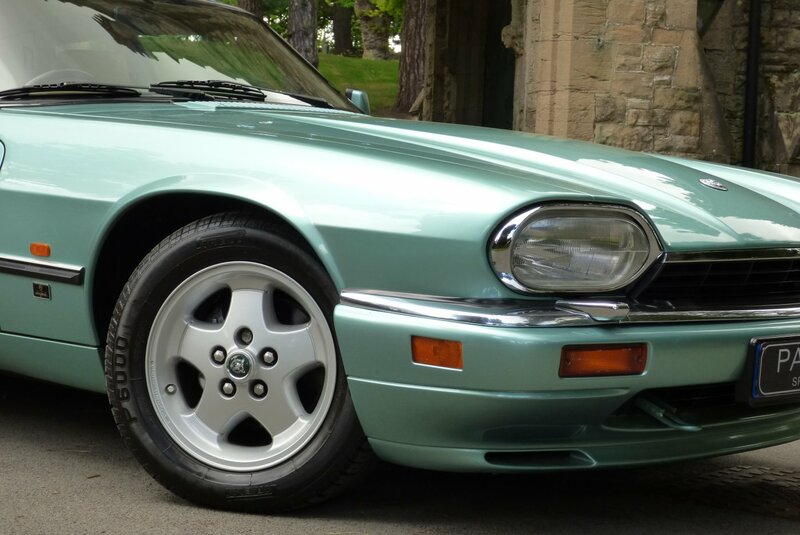 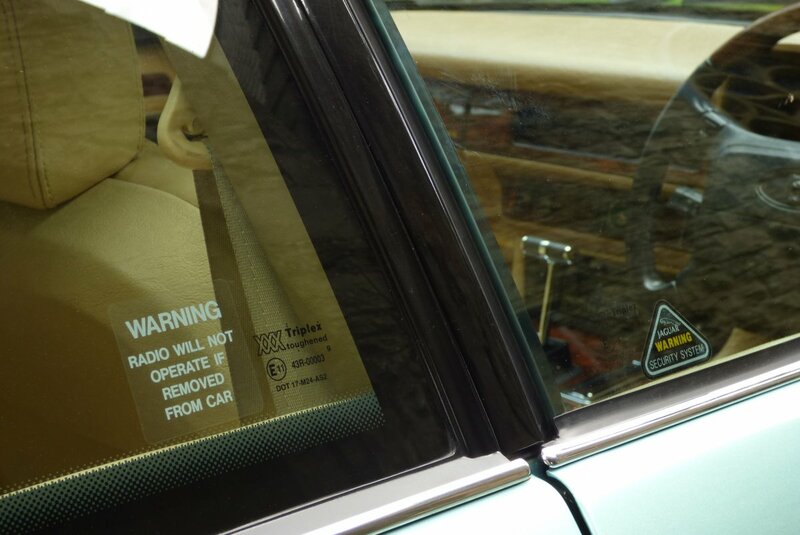 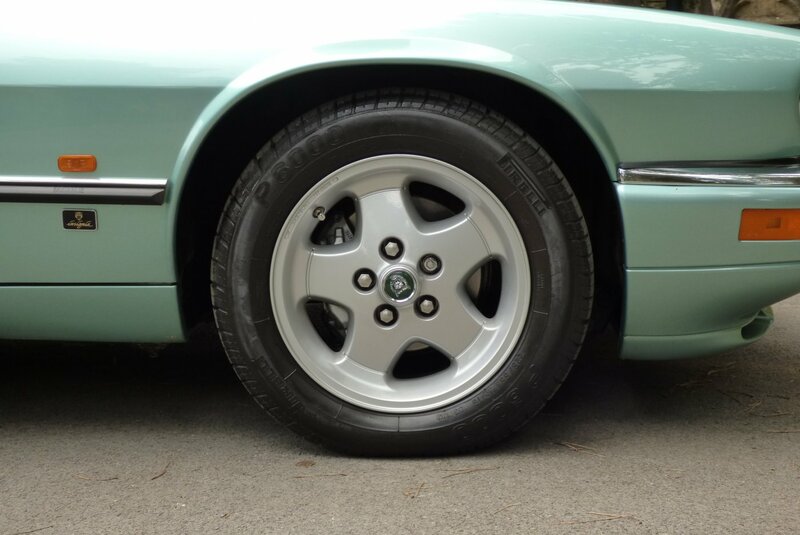 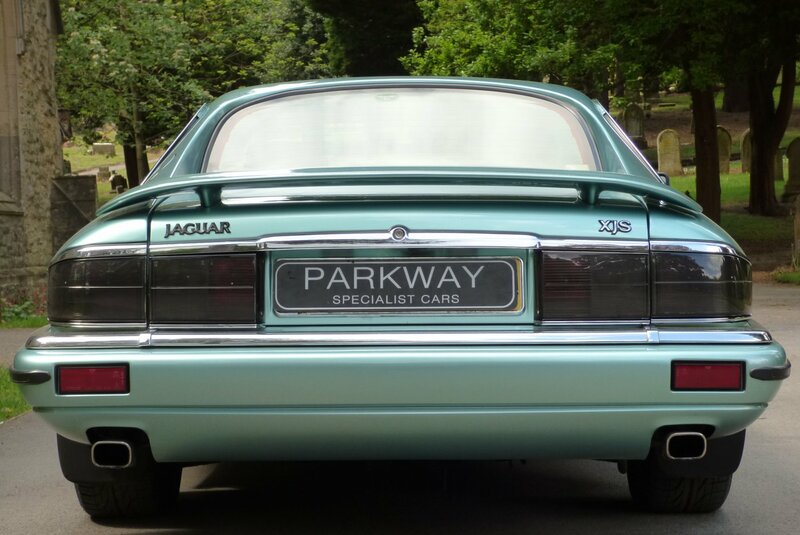 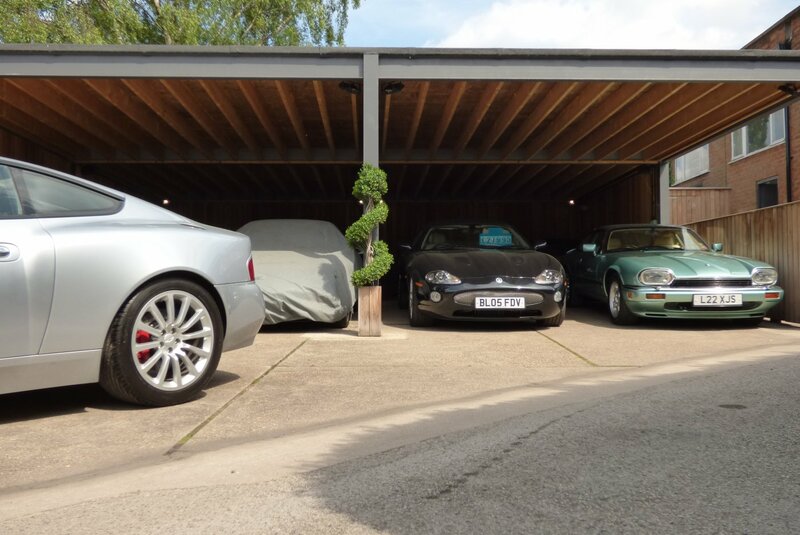 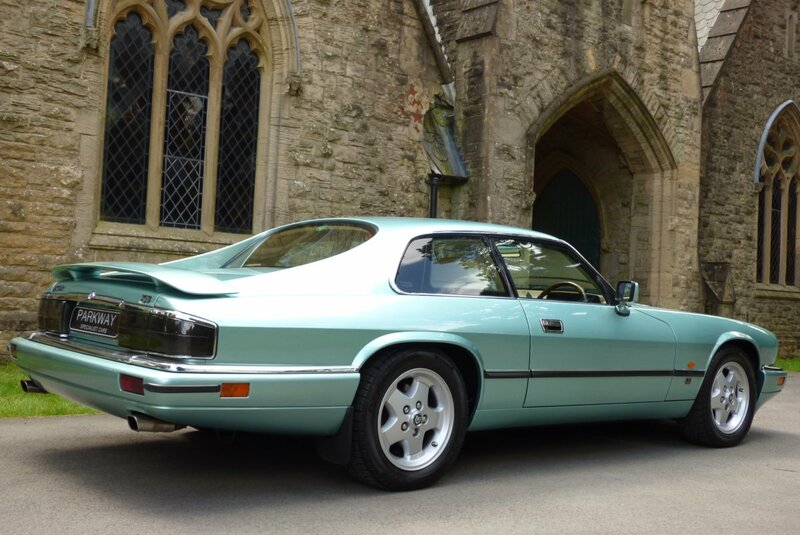 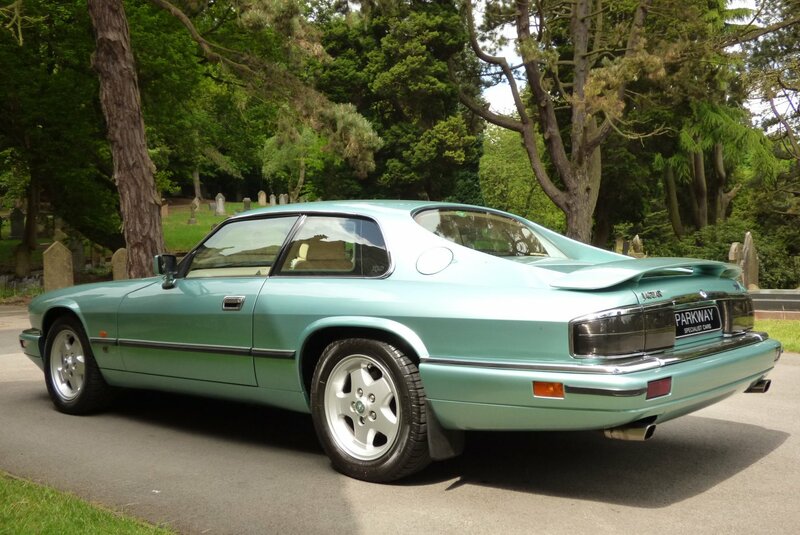 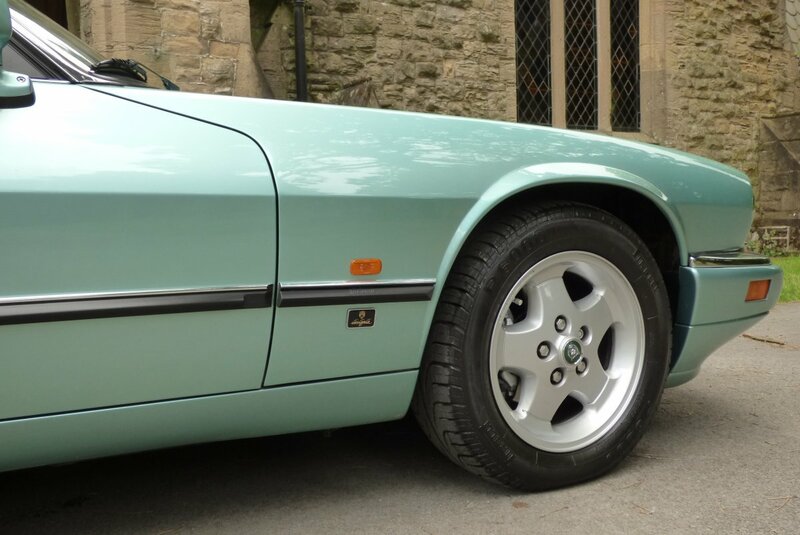 This History File Offers All Items Of Servicing, MOT Work, The Factory Insignia Options Price List, A Special XJS Private Plate, A Full And Complete Jaguar Embossed Tool Kit, A Jaguar Heritage Certificate And The Cars Own Special Review Within The September 2015 Listing "Jaguar World". 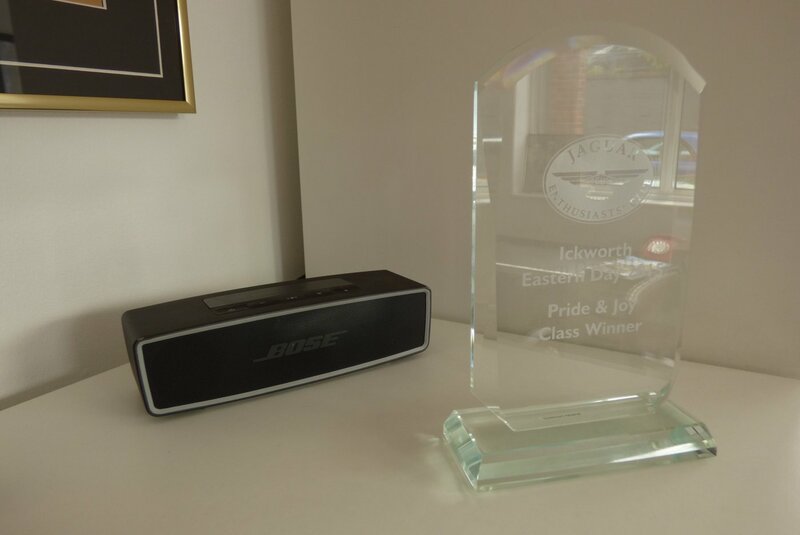 The Final Offering Will Be In The Form Of The Glass Trophy For "Winner In The 2015, XJS Pride & Joy Awards"
Past Service Visits Have Been Logged At 5411, 11920, 16764, 21751, 23678, 25536, 27489, 28986, 29853, 30511, 31600, 34889, 34086, 34889 & 36011 Miles And Once We Have Successfully Secured A New Keeper, Our Fully Trained And Knowledgeable Workshops Will Carry Out A Full Engine Service Prior To The Next Keeper Change. 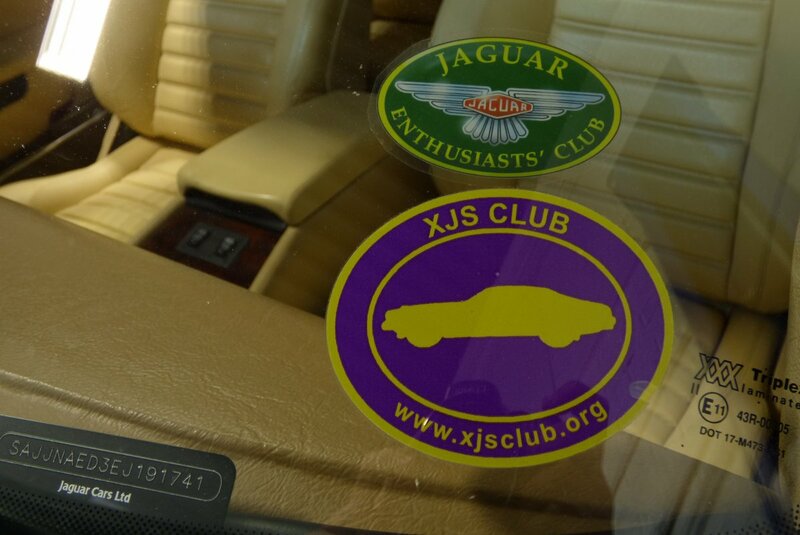 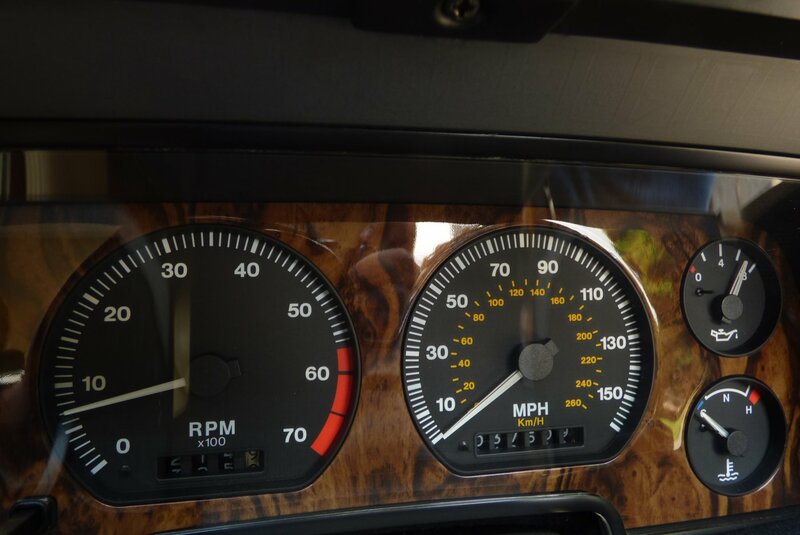 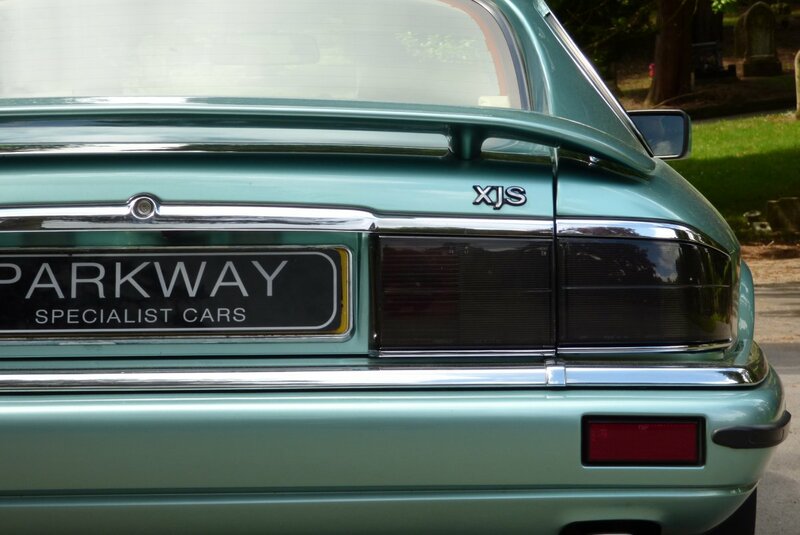 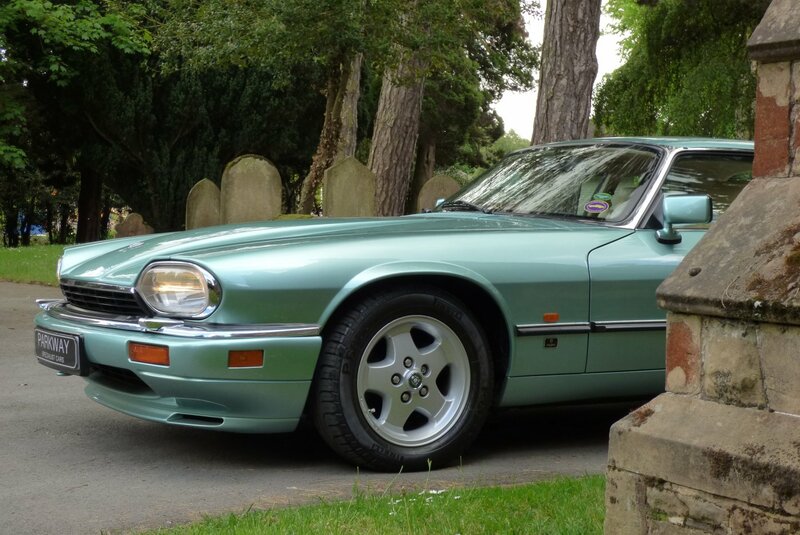 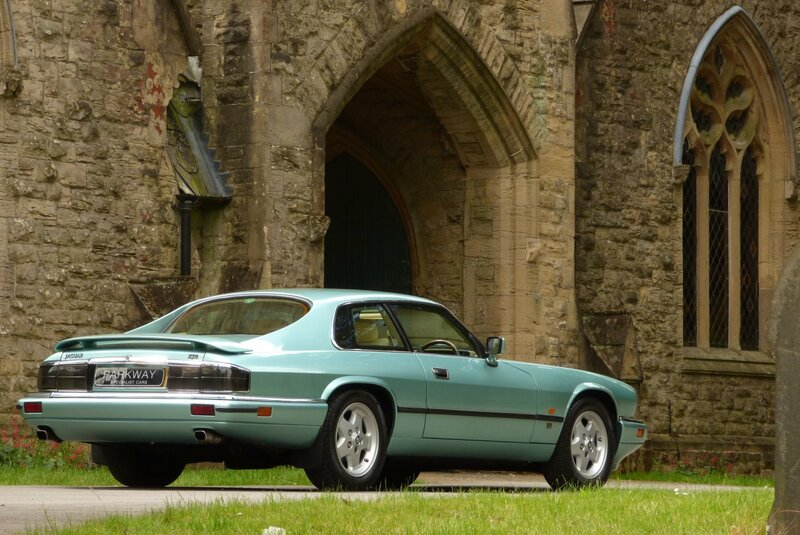 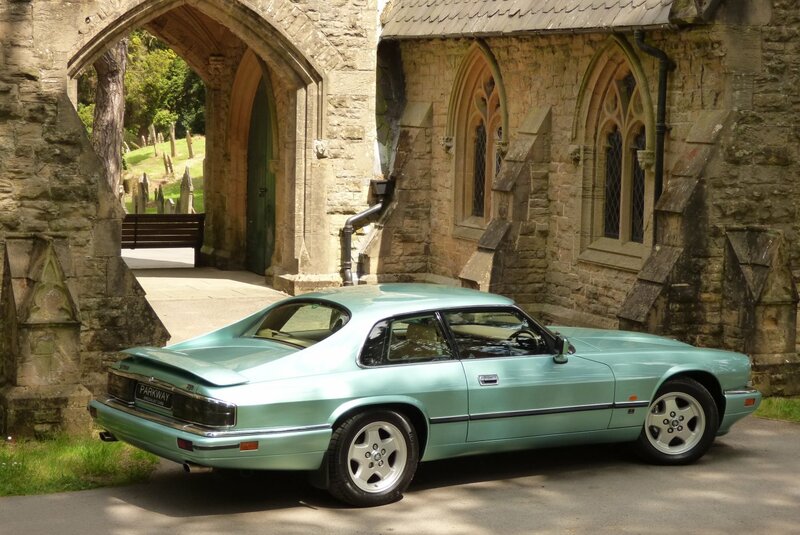 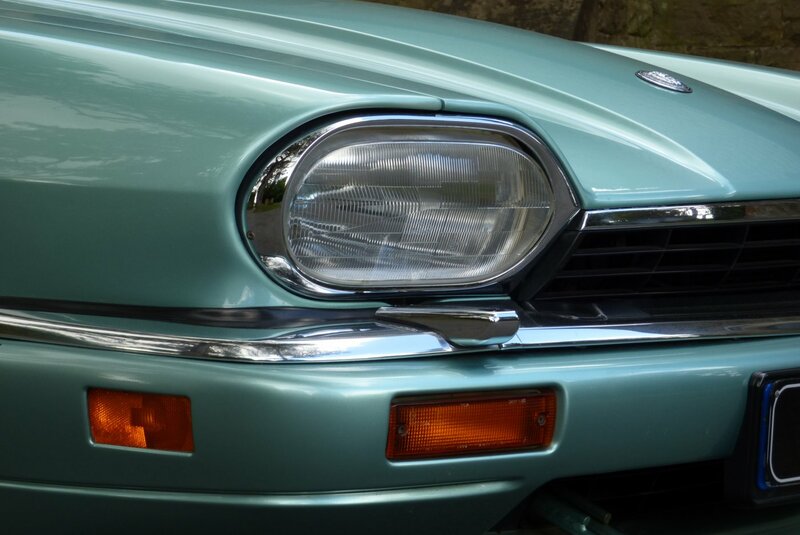 The XJS Has Long Been Appreciated By Motoring Enthusiasts. 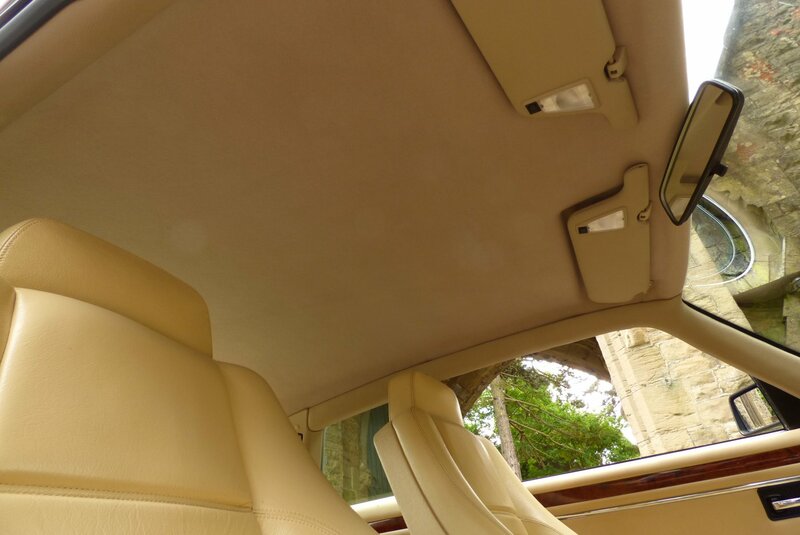 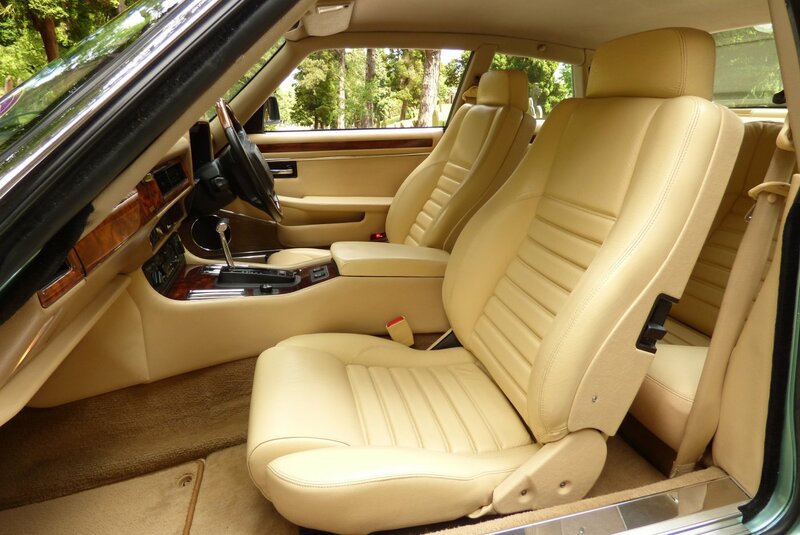 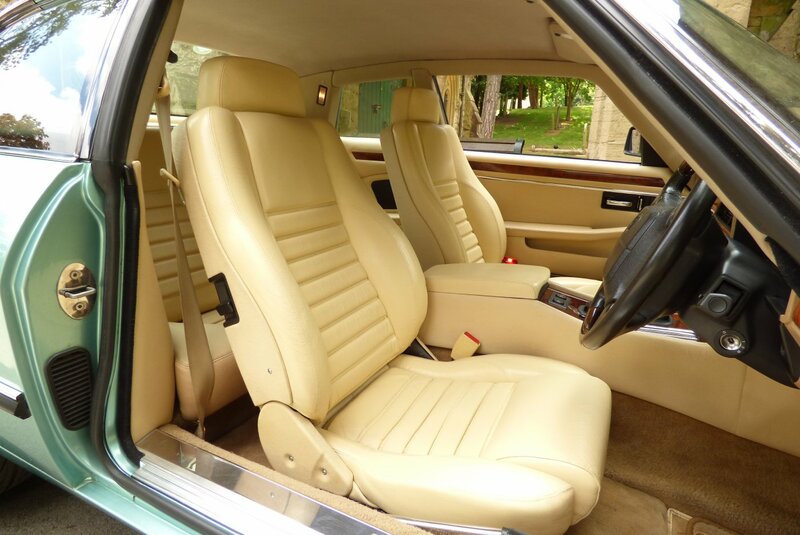 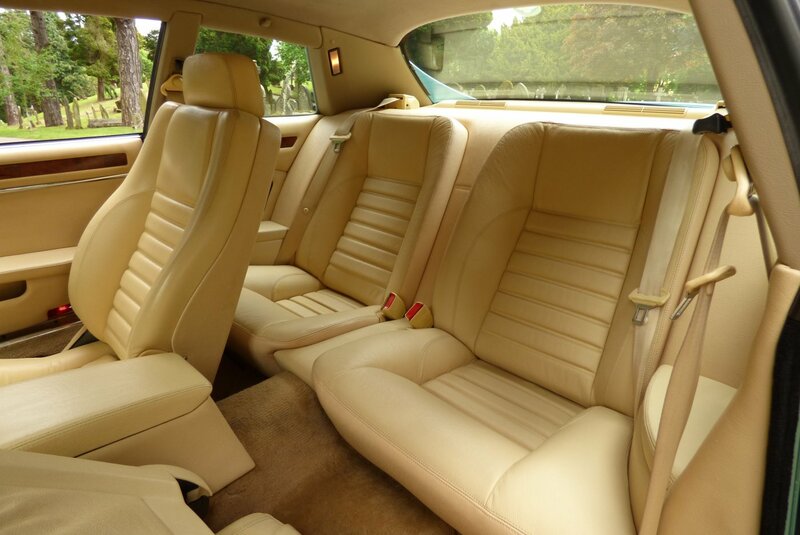 The Sumptuous And Luxurious Interior Is Beautifully Trimmed In The Special Insignia Upgraded Magnolia Semi Analine Leather, Which Wraps Over The Sport Seating, With Finishing Detailing Coming In The Form Of The Contrast Twin Needle Stitchwork. 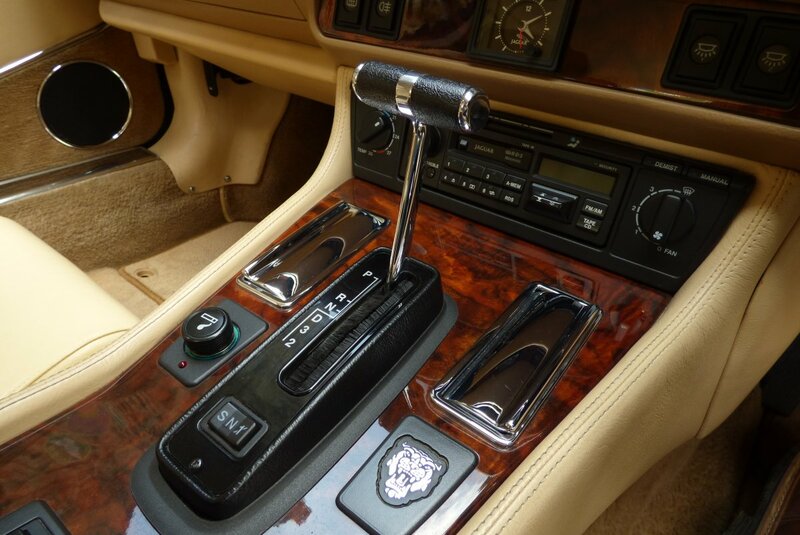 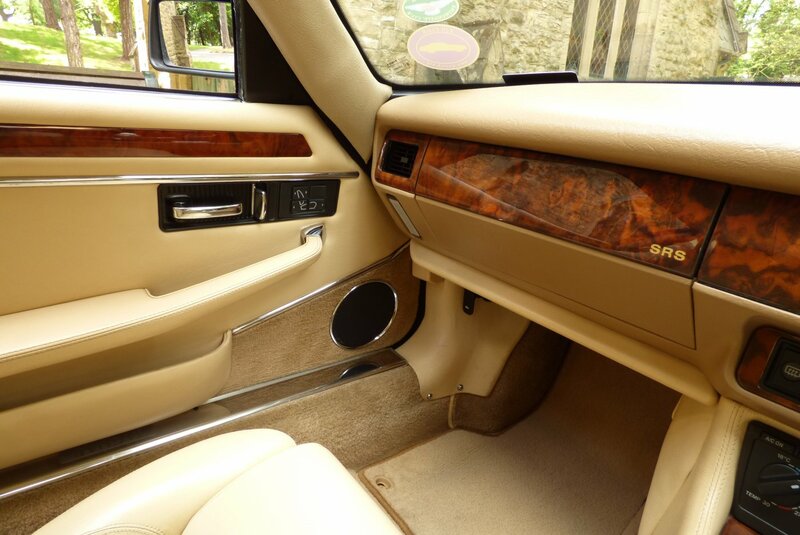 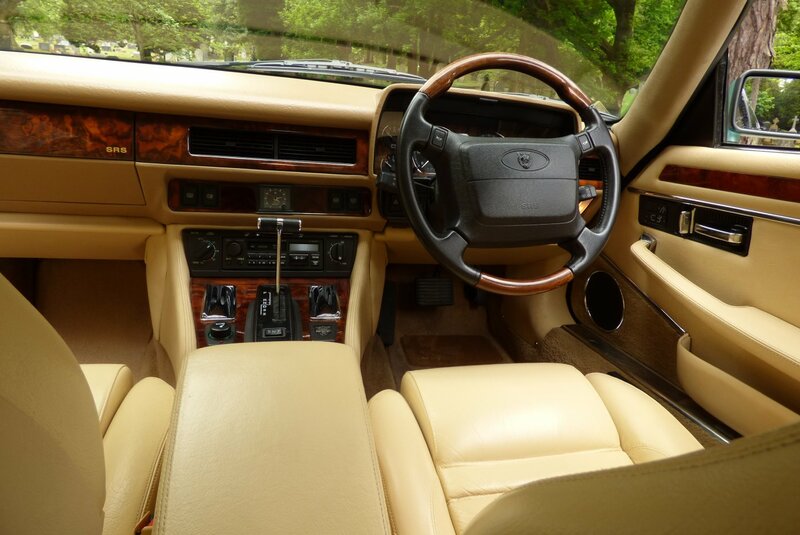 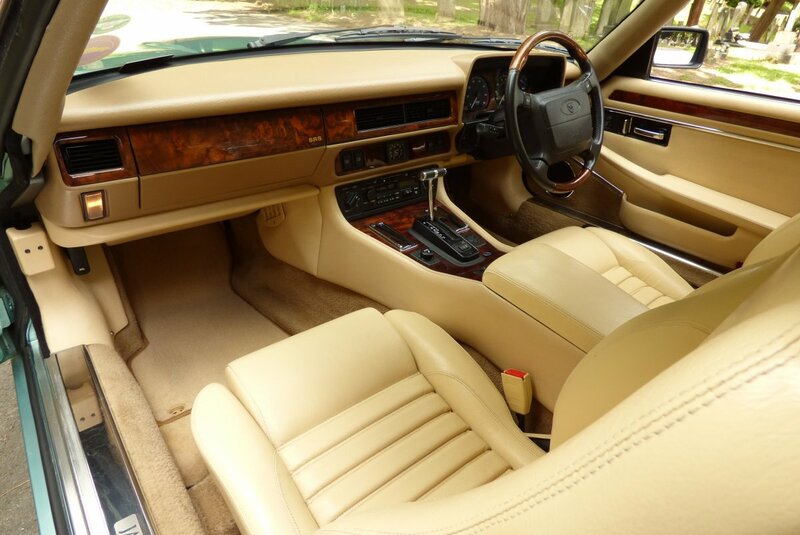 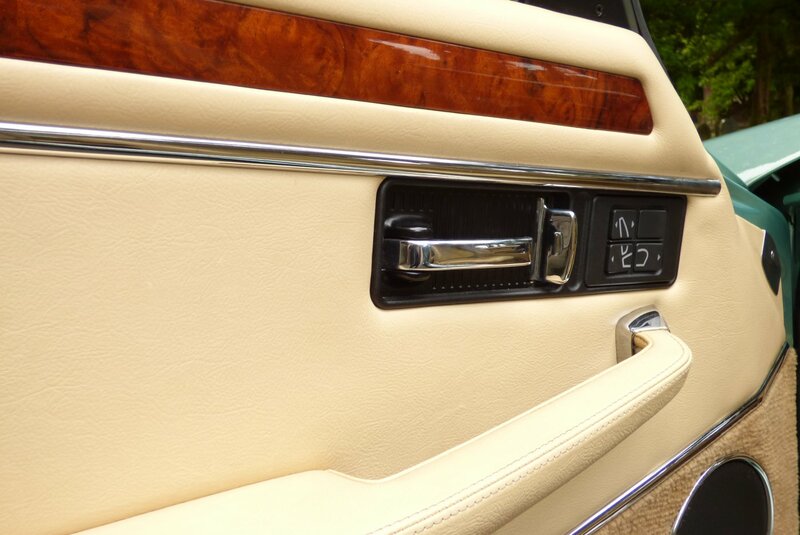 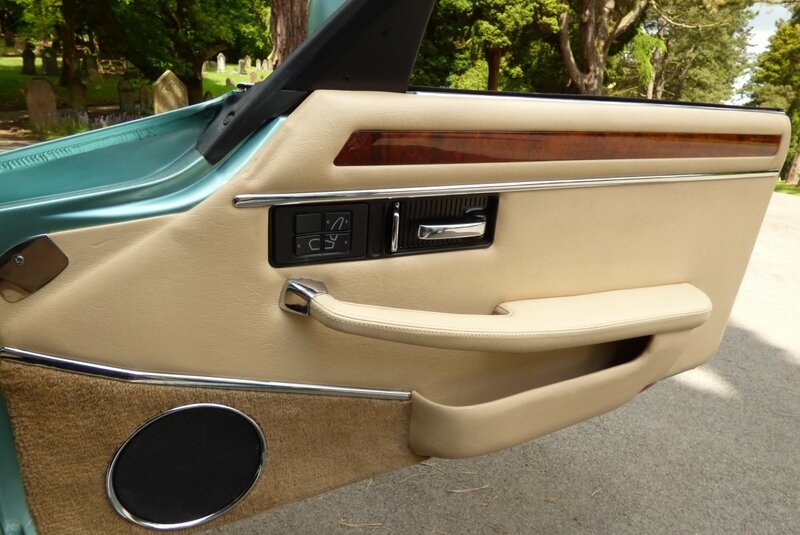 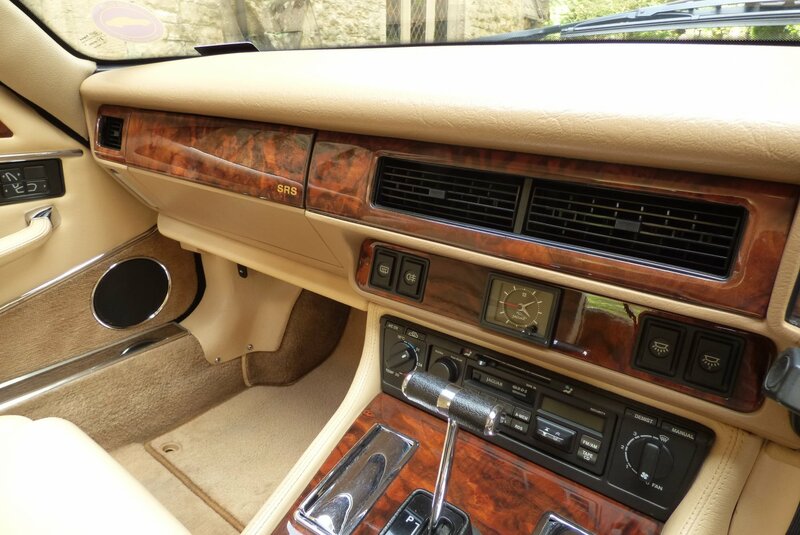 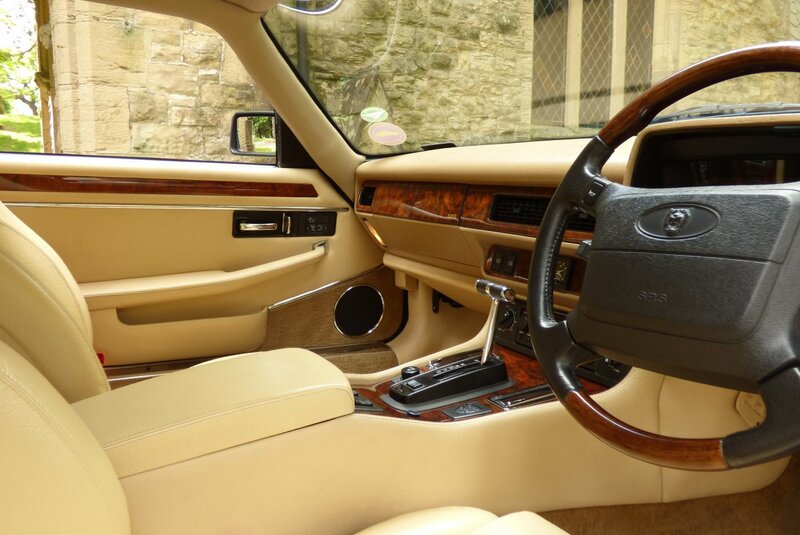 Further Attractive Design Features Include The Two Tone Leather Dash Elegantly Presented With Factory SRS Embossed Hand Polished Burr Walnut Veneers And Matchwood Inlays, The Black Leather Bound & Burr Walnut Four Spoke Steering Wheel And The Wilton Carpets That Have Been Protected With The Optional Jaguar Over Mats. 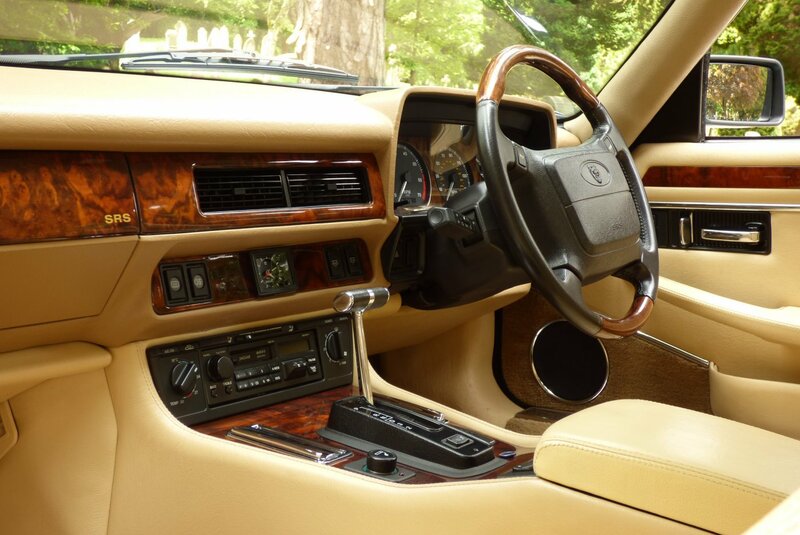 Every Design Element Is To Complete Your Motoring Experience. 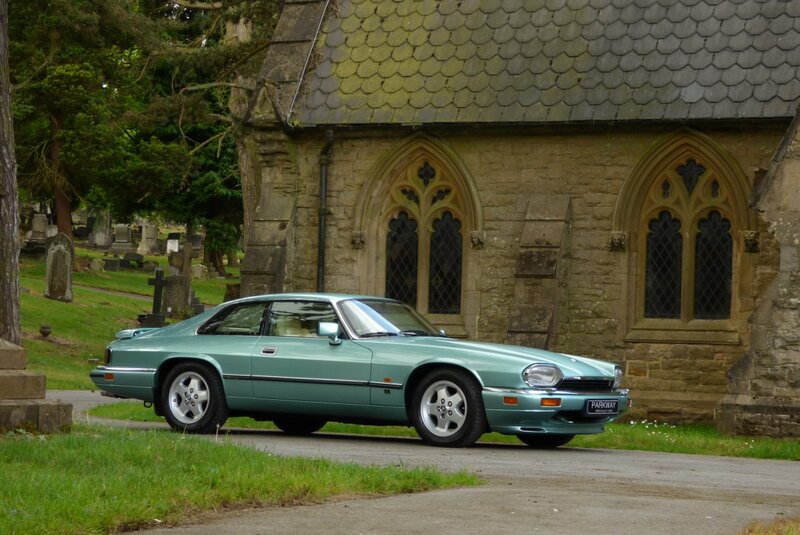 The Cars Sleek Appearance Is Beautifully Demonstrated In The Stunning Exterior Colour Finish Of Peppermint Green Pearl, Which Defiantly Showcases To The Maximum, The Distinctive Body Curves And Aggressive Angles. Further Signature Exterior Detailing Will Come In The Form Of The 16" Five Arm Sport Alloy Wheels, The Factory Boot Lip Spoiler That Elegantly Wraps Around The Rear, Chromed Squared Twin Exhaust Tips, The Blackened Rear Light Cluster And Further Chromed Embellishments. 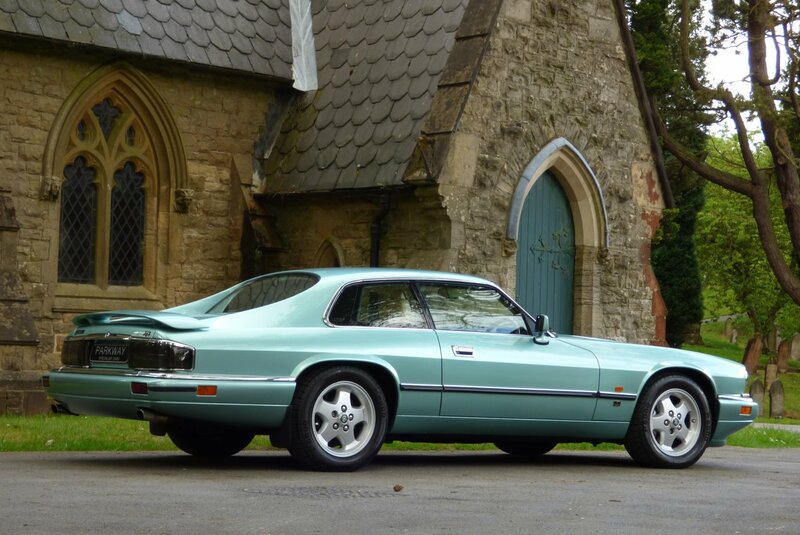 A Striking Example Presented To The Next Lucky Keeper In Stunning Total Condition, Perfect To Keep And Enjoy For Many Years To Come. 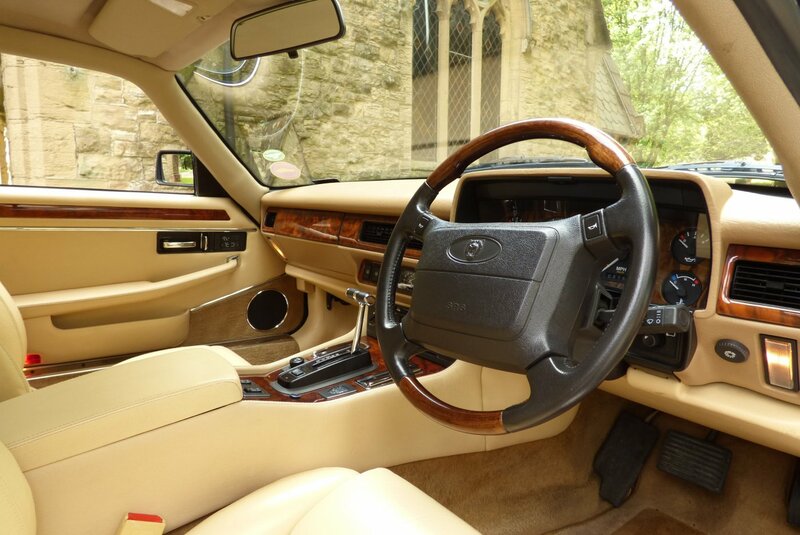 The Perfect Embodiment Of Power And Style. 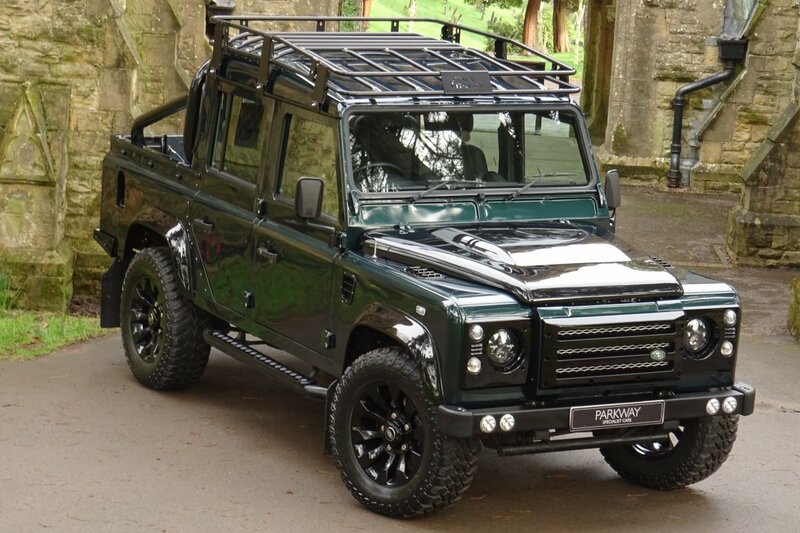 The Factory Build Options Include Halogen Headlamps With Heated Power Wash Function, Blackened Front Grille, Factory Wrap Around Bumpers, The Factory Enamel Bonnet Badge, Secret Till Lit Warning Lamps, Adjustable Steering Wheel, Driver And Passenger Air Bags, Jaguar Embossed Stainless Steel Tread Plates, Leather & Burr Walnut Bound Four Spoke Steering Wheel, Electrically Adjustable Front Seating, Electric Windows, Jaguar RDS Dolby Cassette System, Electric Heated Door Mirrors, Manual Air Conditioning, Boot Lamp, 16" Five Arm Sport Alloy Wheels Which All Sit On Branded Tyres, The Blackened Rear Light Cluster, The Factory Trip Computer, Side Insignia Badges, Factory Frame-Less Door Glass And So Much More. 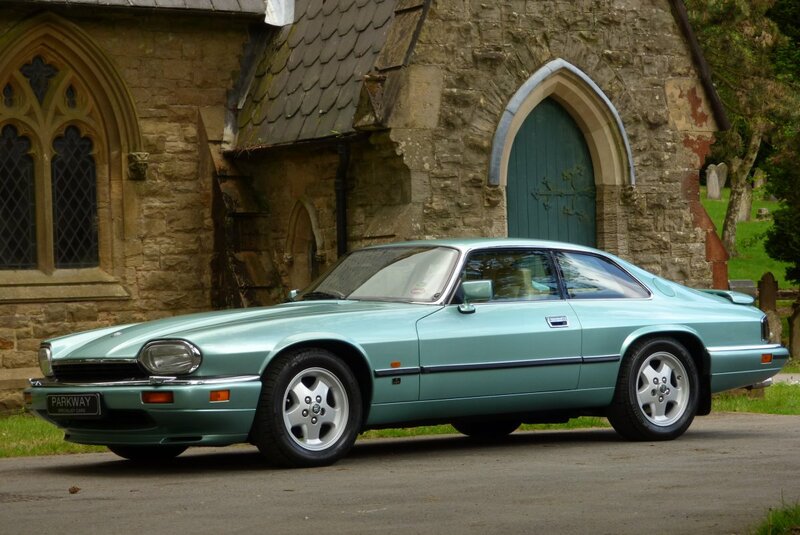 A Rare Find, With Every Correct And Important Merit Firmly In Place For The Next Lucky Keeper To Enjoy And Cherish. 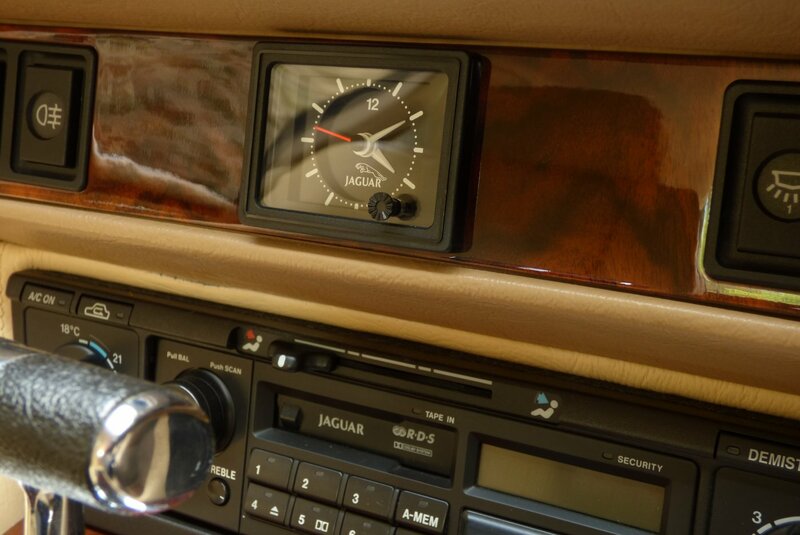 A Design That Has Stood The Test Of Time.